Pictured: I built strong lats with the help of pull-ups. Warning: Don’t do pull-ups this way. Doing Pull-Ups (or Chin-Ups) works your lats so it’s a great way to build a bigger and wider back. There are various ways to grip the bar when performing a pull-up or a chin-up. A pronated (overhand) grip where your palms point outwards so that they are facing away from you. Neutral Grip – A “semi-supinated” grip where your palms are facing each other. Wide grip where you grip the bar wider than shoulder width. Close grip where you grip the bar equal to or closer than shoulder width. With all the combinations, you can do a pull-up (or a chin-up) in 6 different ways. That’s a lot of options. Pull-ups are extremely challenging so you don’t want to waste your precious efforts with an inferior combination. Which combination gives you the most bang for your buck? Let’s first look at the grip width. A Close Grip or A Wide Grip? Wide grip pull-ups are falsely believed to help build a wider back. It’s plain logic. It’s believed that the wider you grip the bar, the wider parts of your back muscles will be activated. The reality doesn’t work like that. I will quote six times Mr. Olympia champion Dorian Yates about wide grip vs close grip pulls. In my early career, I experimented with various types of grips, and I found that using a closer grip with the hands either parallel (facing each other) or fully supinated (underhand) actually provided the best contraction and most complete range of motion for the lats. Throughout my Mr. Olympia reign, I never did a single set of wide-grip chins or lat pulldowns. A final reason to consider using a close grip beyond the issue of range of motion is the fact that it puts the biceps in a stronger position. Since the biceps are far smaller and weaker than the lats, putting them in a position where they are guaranteed to fail before the lats are properly stimulated, as in any wide-grip vertical pull, will cause you to shortchange your potential growth. So, we learned that wide grip pulls don’t work your lats in full motion so they are not effective to build wider lats. Moreover, wide grip pulls put more stress on your biceps. Biceps are smaller muscles so they’ll give up before your lats. When your biceps give up you’ll end the exercise without fully training your lats. Neutral, Supinated (Chin-Up) or Pronated Grip? Yates prefers to grip the bar neutrally (hands facing each other) or fully supinated (underhand). Note that Dorian Yates is talking about pulldowns. It’s easier to do pulldowns with a fully supinated (underhand) grip when you hold the bar with a narrow grip. In my experience, doing close grip pull-ups with a fully supinated (underhand) grip is taxing on my wrists. My wrists give up before I properly train my lats. Doing close grip pull-ups with a neutral grip (with hands parallel, facing each other) is a lot more comfortable. For a wider and stronger back, do close, neutral grip pull-ups. 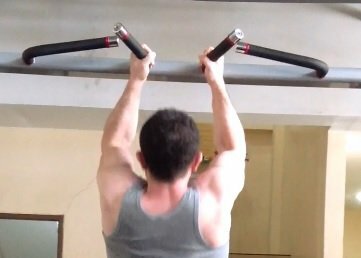 What If Your Pull-Up Bar Is Not Suited for a Neutral Grip? A regular, home pull-up bar which is not suitable for a neutral grip. I didn’t know at the time that neutral grip is the best type of grip for pull-ups. After doing many negative pull-ups, I finally managed to do a proper pull-up but I was still gripping the bar the wrong way. I was having a hard time increasing the number of pull-ups I did. 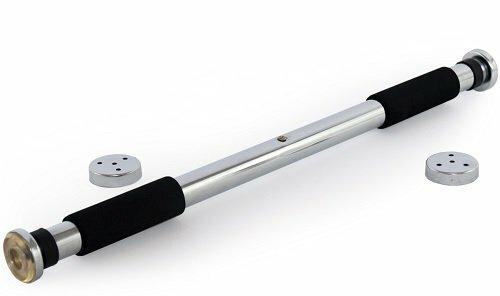 After I discovered that I can do more pull-ups with a neutral grip, I bought a pull-up bar which had handles to enable a neutral grip. My number of pull-ups were rapidly increasing but I had an unfortunate accident when I once got careless, the pull-up bar got dislocated from the door, and I fell to the concrete floor on my back. I almost broke my back (but I didn’t) and I took a long break from training until my bruises healed. 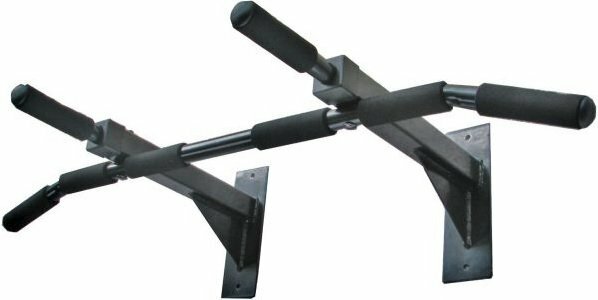 A wall mounted pull-up bar suitable for a neutral grip. 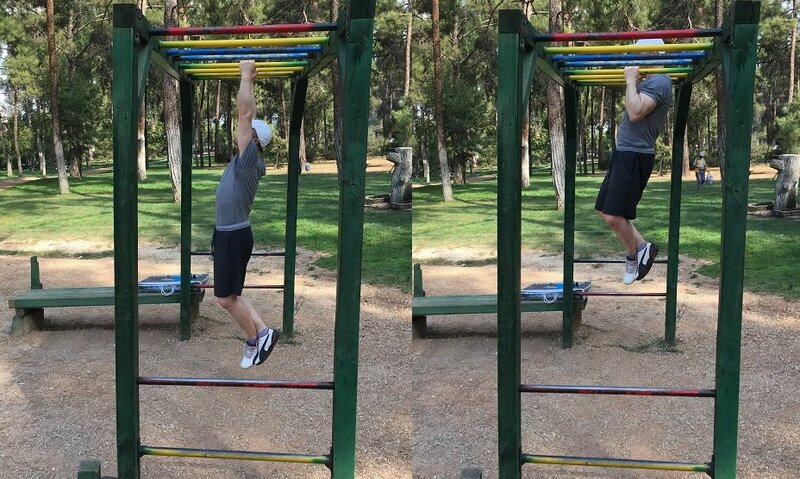 Me doing neutral grip pull-ups in an outdoor establishment which is suitable for a great pull-up training. If you have no way of doing neutral grip pull-ups then at least never do wide grip pull-ups. Wide grip pull-ups fail to effectively train your lats so they are essentially a waste of time. Pull-up is a challenging exercise. There’s no shame in not being able to do a proper pull-up. I wasn’t able to do a single pull-up when I started but now I can do 30 pull-ups in a row. The difficult part of the pull-up is the part where you pull yourself up. If you can’t pull yourself up (yet), don’t be frustrated. Skip the pulling yourself up part of the pull-up and concentrate on the part where you are lowering yourself down (the negative portion). Grab the bar with your feet on the floor and grip it (preferably neutral with a narrow grip, if not, overhand with shoulder-width grip). Jump up to get your chin above the bar. Lower yourself slowly and in control until you get back down to your initial gripping position. 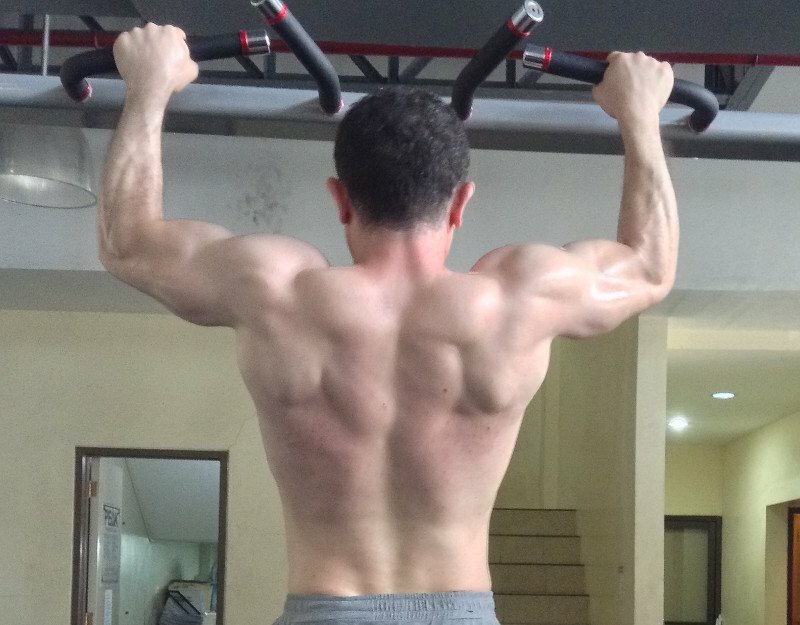 Doing negative pull-ups is a great way to strengthen your back muscles. When you build up enough strength by doing negative pull-ups for a while, you will be able to do a proper pull-up. Another thing you can do to improve your pull-ups is to lose fat. If you have extra pounds of fat in your body, it will be harder for you to perform a proper pull-up as you will have to lift more weight when pulling yourself up. When you slim down, you increase your chances of doing a proper pull-up, and later increase the number of pull-ups you can do. If you are doing bodyweight training (which I highly recommend for beginners) then doing compound exercises such as burpees, push-ups, bodyweight squats etc. will improve your overall musculature and will help increase the number of pull-ups you can do. If you are lifting weights then deadlifts, rows, farmer walks, squats, and press exercises will train your back muscles along with the other muscles in your body and help increase the number of pull-ups you can do. 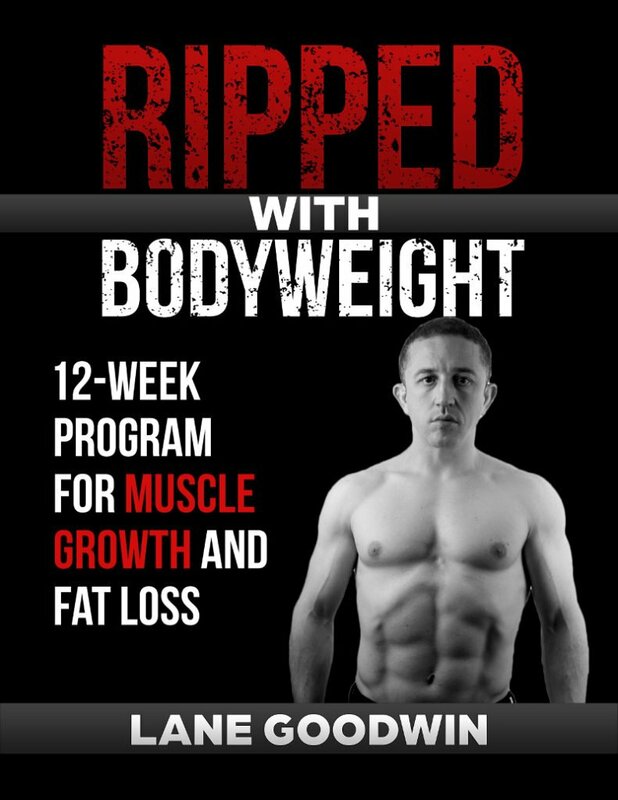 PS – If you want to improve your pull-up performance, if you are new to strength training, or if you need a solid bodyweight training routine that builds muscle fast then feel free to check out my book Ripped with Bodyweight.